Sign-up for our free blog post updates. 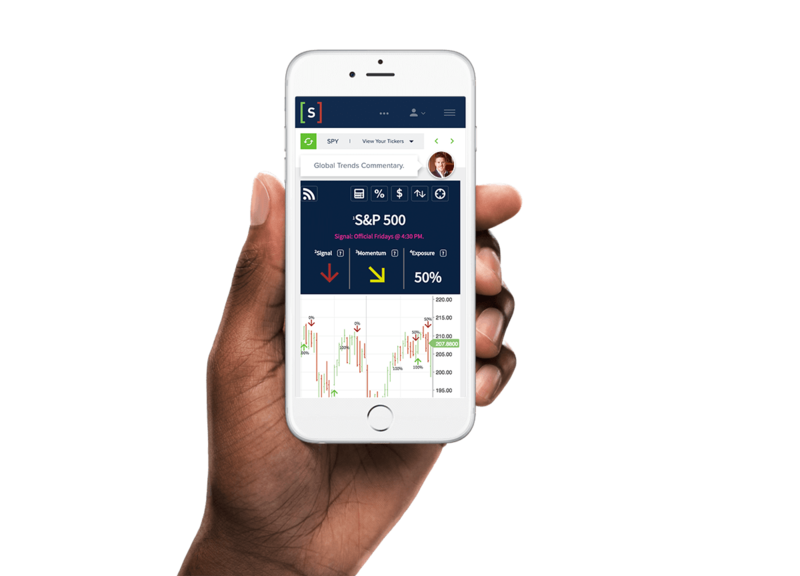 Whether you're a personal investor, financial advisor or institutional money manager, using SellerySignals makes monitoring your Stocks, Forex, Options, ETFs and Mutual Fund positions simple and reliable. The Signal measures the statistical odds of a security's directional change using a process we call Quantitative Probability, which is based on an understanding of Probability Theory and Variable Change applied from more than four decades of investment experience. SellerySignals distilled those two complex mathematical concepts into algorithms which generate clear technical indicators that are simple to understand and easy to follow. Read more about our proprietary approach here. The 'Signal' is your directional point-of-action, the 'Momentum' is your gauge of directional strength and the 'Exposure' is the Signal's endorsed weighting. The approach utilizes WEEKLY price data and although the trading Signal is live and can be monitored for changes throughout the week, it is considered official Fridays at 4:30 PM or 30 minutes after an exchange has closed for the week. 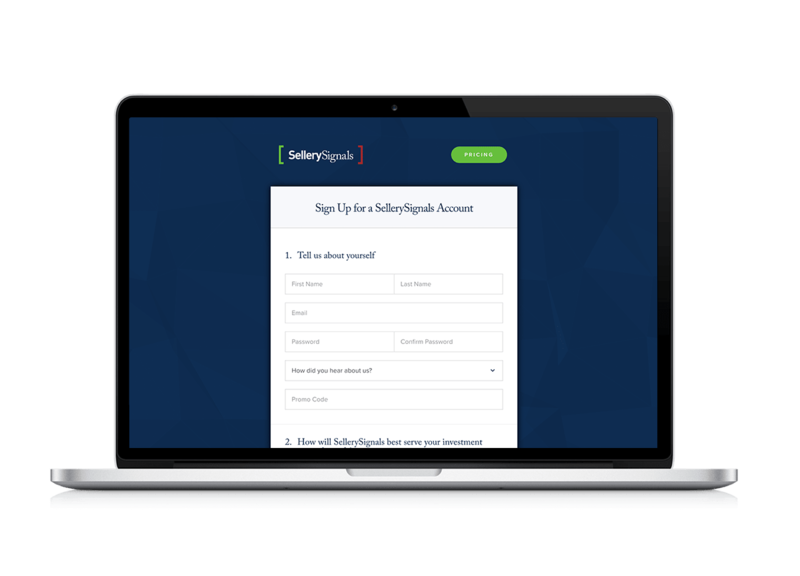 With your subscription, the SellerySignals "How To" guide will provide step-by-step instructions for using this valuable investment tool and give examples of how we use it in our own investment approach. READ the 3 key icons below to understand your trading Signal. Measures the week-to-week change in the Signal’s momentum or 'strength.' The ‘Signal’ arrow along with the momentum arrow (yellow) can identify divergences used to help forecast a potential Signal change. To see the technical trading algorithm that drives the 'Momentum' arrow visit our 'About the Signal' page. The endorsed weighting of the 'entry' or 'exit' Signal is based on the security’s current weekly bullish or bearish cycle. In a bullish environment, the trading signal will favor a 100% exposure on 'entry' signals and 50% exposure on 'exit' signals. Inversely, in bearish environments the trading signal will favor 50% exposure on 'entry' signals and 0% exposure on 'exit' signals. To see the technical trading algorithm that drives the 'Exposure' visit our 'About the Signal' page. Get clear signals about the best time to buy, sell, or hold your investments. 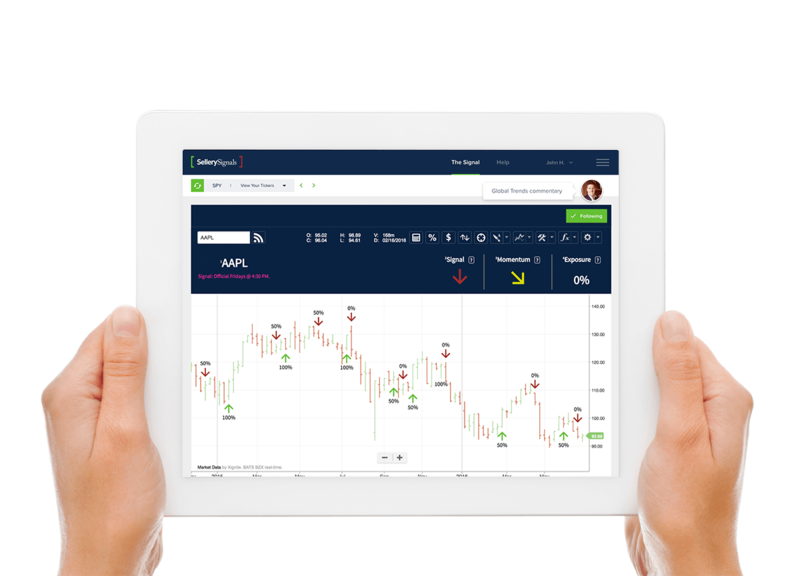 SellerySignals user interface was built to empower YOUR investment trading decisions by providing you the flexibility to 'add' the Signals most relevant to you. You can choose to monitor the trading signal for years over your closely held Stocks, Forex, Options, ETFs and Mutual Fund positions but maybe only a few weeks or months on the buy or sell opportunities you look to capitalize on near-term. Either way, you control your invesment decisions. Our "How To" guide will give you step-by-step instructions for how to use this valuable investment tool. We'll also provide you with examples for applying it to your investment decisisons, helping you take advantage of market upswings and protect your money during downturns. Follow these 3 simple steps and begin monitoring your trading Signals. Start With A Free 15-Day Trial which grants you access to our trading signals for more than 50,000 stocks, ETFs, Mutual Funds, Currencies and Indexes in real time. Credit Card Necessary For Trial. Use 'The Signal' page to personalize your account by searching for the securities important to you. Once located, simply 'Add Signal' to save the ticker to your account. You can add or delete as many signals as you like with no restrictions. CHOOSE WHAT’S RIGHT FOR YOUSellerySignals database boasts access to over 50,000 securities ranging from stocks, forex, ETF's, mutual funds and indexes. Stay current by monitoring your real-time trading Signals with your desktop browser or mobile device and get clear direction on timing for your investment decisions. See how easy it can be to control your investments with SellerySignals. What is a trading signal? Sign up for a 15-day FREE trial to get clear trading signals to help with YOUR investment decisions. Subscription-based signal trading service with analysis of more than 50,000 Stocks, ETFs, Mutual Funds, Currencies, and Indexes in real time all day, every day. No long-term contract required with your credit card on file. Start with your 15-day FREE trial - learn the Signal's market timing indicators and BUY/SELL/HOLD your investments to take advantage of the markets.